According to figures released by the China Gold Association (CGA), China’s annual gold output fell, albeit by a paltry 0.4%. in 2015, down to a still comfortably world leading 450.05 tonnes. While the actual amount of the fall is insignificant, the fact that it has declined at all, is not so. Over the past 10 years China’s gold output has been growing at an average annual rate of around 11% bringing it far and away to being the world’s top gold mining nation – producing 1.6 times more gold than the world’s second and third largest gold miners – Australia and Russia, and more than double that of No.4, the USA – See: World’s Top 10 Gold Mining Nations and Peak Gold for consultancy GFMS’s most recent report on production from the world’s top 10 global gold mining nations – which incidentally had suggested that China’s gold output rose last year, but as we pointed out these figures were only estimates. One would hope that the latest CGA figure is definitive. What this means, if the Chinese gold production decline continues, is that its citizenry will need to replace the shortfall in China’s own gold output by buying more from outside. Thus higher import levels (We have already seen a big surge in gold imports from Hong Kong in December). This can only exacerbate the ever continuing gold flows from West to East. This physical gold has to come from somewhere – or will lead to substantially higher gold prices which could even overcome the COMEX futures market pricing based on paper gold transactions. How long this will take is anyone’s guess, but the day must be drawing closer. The New York gold price closed Tuesday at $1,087.20 down $2. In Asia on Wednesday, it was lifted to over $1,094 before London opened and then was set by the LBMA at $1,093.20 up from $1,087.00 with the dollar index lower at 99.03 down from 99.21 on Tuesday. The euro was up at $1.0906 from $1.0867 against the dollar. The gold price in the euro was set at €1,002.38 up from €1,000.28. Ahead of New York’s opening, the gold price was trading at $1,095.15 and in the euro at €1,004.17 moving up nicely towards the $1100 level again. The silver price in New York closed at $14.03 up 3 cents at Tuesday’s close. Ahead of New York’s opening on Monday, the silver price stood at $14.10. Yesterday, just ahead of the opening in New York there was an attempt to take gold’s delicate market balance and push gold prices down heavily through to $1,083, but over the day the gold price floated higher ending the day at $1,087.20, the same as it was when the day began. With Asia taking it over $1,090 this morning, the battle over the price in the last day was won by the bulls, perhaps indicating the way forward for the rest of the week. While we expected a strong move either way yesterday, the attempt to break the gold price down was foiled, but with an indication that the gold price would prefer to rise? Tuesday saw no purchases or sales from either the SPDR gold ETF or the Gold Trust. The holdings of the SPDR gold ETF are now at 657.924 tonnes and at 161.46 tonnes in the Gold Trust. This showed that the attempt to push gold down again had no physical substance so could not hold prices down. With China now moving to play such an important role in the future of the gold market and its price, its moves to tighten ties with the Middle East and particularly Saudi Arabia [its largest oil supplier] and other Middle Eastern nations comes under the spotlight. Saudi Arabia has signed important developments contracts with China yesterday, leaving the U.S. out of these particular contracts. Is the hold over Saudi Arabia [and Iran] by the U.S. weakening? China may well do the same with Iran? The advantage to them of China is that China stays away from politics, leaving them to do their own thing. At the heart of concern over such moves is the use of the dollar in oil transactions. 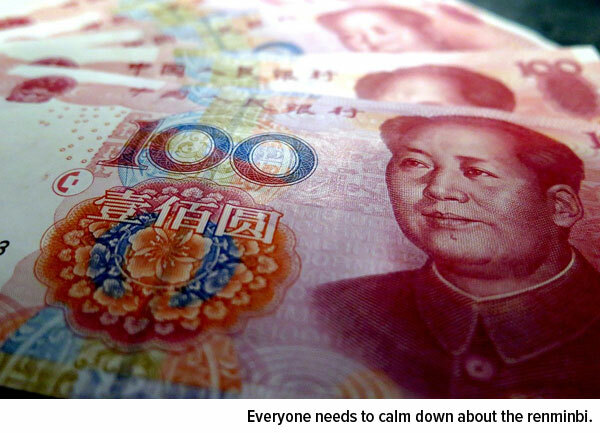 China may be paying in dollars, now, but undoubtedly, will also offer Yuan, eventually. This will directly affect the dollar on foreign exchanges and by extension, the gold price. This could become China’s choice adding to China’s hold over the dollar on foreign exchanges? Update with chart: Gold taken out of China’s SGE to top previous record by huge 400 tonnes. The following is an edited version of an article I’ve written for sharpspixley.com – and was posted on that site on Friday, entitled: CHINA: SGE Gold withdrawals head for huge new record year. This year’s withdrawal figures passed the 2013 full year record a months ago already and at the current rate will exceed the previous record figure by around 400 tonnes by the year end – although there’s a chance the figure could be higher still as withdrawals tend to rise as we get closer to the Chinese New Year, which falls on February 8th in 2016. The big growth in SGE withdrawals this year is demonstrated by the chart below from Nick Laird’s www.sharelynx.com website which shows total withdrawals at the same time for the past seven years. As can be seen gold taken out from the Shanghai exchange have been growing strongly year by year apart from a blip in 2014. This year’s figure for week 47 is thus a massive 538 tonnes higher than at the same time last year and 382 tonnes higher than in the previous record 2013 year. As can be seen from the chart the growth in withdrawals accelerated hugely in 2013 compared with previous years – a trend which has continued pretty well since. 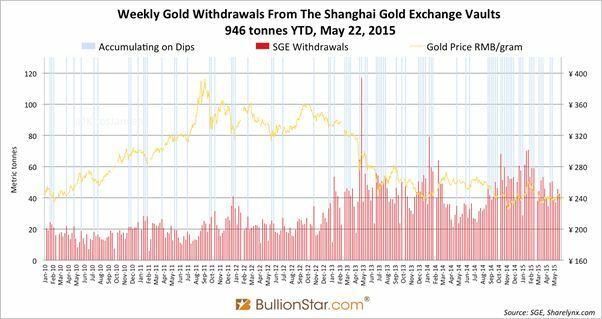 The Sharps Pixley article notes that although Shanghai Gold Exchange (SGE) weekly withdrawal figures seem to have fallen back a little from their heady July/August/September heights, when at times over 70 tonnes of physical gold were taken out of the Exchange’s vaults in a single week, this year’s total is still heading for a huge new record high. Total withdrawals so far this year to the end of last week (Dec 4th – the SGE reports withdrawals a week in arrears) have amounted to just under 2,405 tonnes after a figure of 42.6 tonnes in the latest reported week. The record full year withdrawals figure was back in 2013 when 2,181 tonnes were withdrawn – a figure which was already surpassed several weeks ago and with virtually four weeks of withdrawals still to come this year the full year total looks to be heading for the high 2,500s. For reference the full year SGE withdrawals figure in 2014 had fallen back somewhat to 2,102 tonnes – still comfortably the second highest year on record at the time. It was also noted that SGE withdrawal figures do remain running well in excess of known Chinese gold imports plus domestic production so far this year (See: 2016 a crunch year for physical gold supply). The linked article suggests total gold availability of only around 2,100 tonnes for the full year (which includes a perhaps conservative estimate of around 200 tonnes from scrap sources). However China is extremely reticent about reporting all its import and gold supply figures, so it is conceivable the actual figure could well be higher still perhaps bringing it closer to the SGE withdrawals metric. But be that as it may, and given the huge discrepancy between the SGE figures and those for Chinese domestic gold consumption from the major analytical consultancies, if one just looks at comparative SGE figures they will provide a great guide to the trend in Chinese domestic gold flows and consumption so these gold flows have thus been trending sharply higher this year. With the Chinese economy continuing to expand, even though at a much slower pace than in previous years, it would not be unreasonable to assume Chinese gold demand will continue to grow alongside the nation’s GDP. It will thus be interesting to see what next year brings. As readers will know, China is going through a centrally planned restructuring of its economy which is moving away from being export and manufacturing driven to being domestic consumer and services oriented following a pattern much of the Western World took generations to accomplish, yet China is aiming to do this in a few short years. 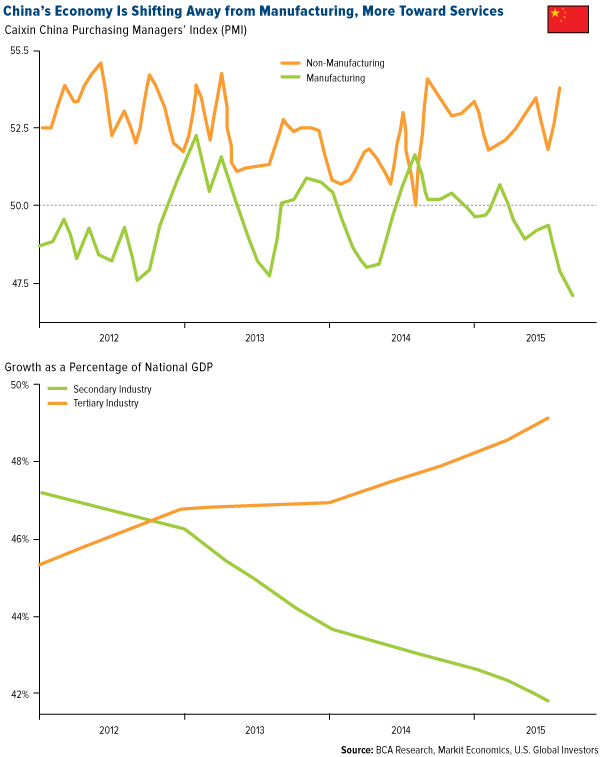 It is proving to be a painful process, but perhaps not so much for the Chinese themselves, but more for those who had been relying on ever-growing Chinese manufacturing growth as their primary market for raw materials to fuel manufacturing growth. Looking ahead China, having built new cities and a remarkable infrastructure, is well placed to build on these plans which will continue to see the domestic purchasing power of its people grow as more and more services type better paying jobs are created. Antiquated manufacturing plants are being closed down, particularly in the ongoing drive to reduce pollution which will perhaps put China at the forefront of new technological development, further enhancing its global position. First it was the U.S. Federal Reserve. Then, in 2013, Japan launched what became known as Abenomics. The European Central Bank (ECB) followed suit in 2014. And now the People’s Bank of China has joined the parade. All of them in some way stimulated economic growth by initiating monetary quantitative easing (QE) programs. The media and politicians applauded them for their QE plans. All of them, that is, except for China. Instead, we’ve only seen a flurry of negative headlines. I often tell investors to follow the money, which currently is cheap to borrow. Cheap money is good for stock prices, but not for retired folks who have most of their savings in term deposits with low interest yields. 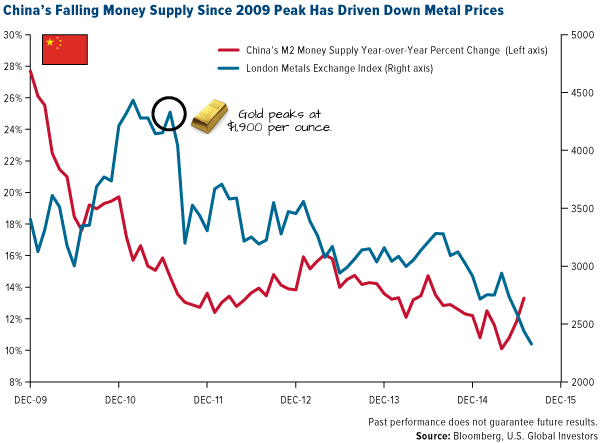 Most important for commodity investors is the powerful correlation between China’s money supply and commodity prices. The money supply peaked in 2011 and has been falling along with commodity prices. On Monday, China unexpectedly trimmed the value of its currency, the renminbi, 2 percent, the most in two decades. In the days since, many analysts and “experts” have irrationally turned sour on the Asian country, similar to the extreme bearishness toward gold in the last month. But investors last week came home to the yellow metal after China announced it had increased its gold reserves by an additional 19 tonnes in July, boosting its total holdings to 1,677 tonnes (nearly 54 million ounces). This helped prices rally 1.4 percent on Wednesday to reach $1,124.46, a three-week high. They make China out to be the big, bad villain—calling this move manipulation or a “currency war.” And while EVERYTHING that central banks do is indeed manipulation or a “currency war”—why don’t we hear those terms thrown around the ECB or the U.S. Fed? To help cut through the noise and get a more balanced picture of devaluation’s causes, effects and possible ramifications, I chatted with our resident Asia expert Xian Liang, portfolio manager of our China Region Fund (USCOX). Below are some of the highlights. As you know, we follow currencies very closely in our investment team meetings because we’re aware that government policy is a precursor to change. 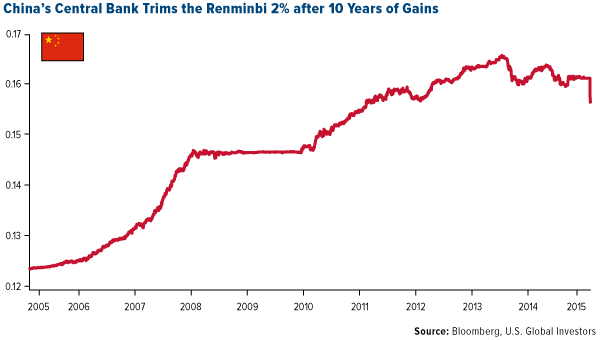 Having said that, why did China decide to devalue the renminbi? There are several possible reasons, the first one being economics—specifically, to stimulate economic growth and ease liquidity in the financial sector. A weaker renminbi can help make Chinese exports cheaper for foreigners and imports dearer for locals, creating the incentive for a “net inflow” of money. 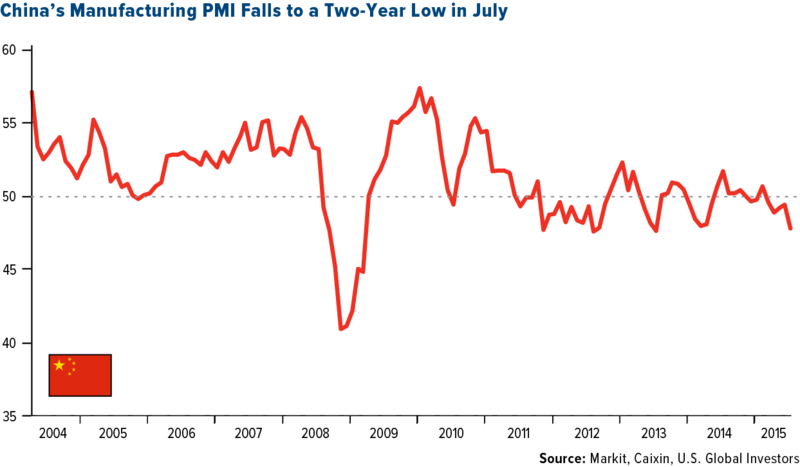 July data shows that economic activity remains worse than expected. China’s purchasing managers’ index (PMI) reading for the month is one example, but fixed-asset investments, power generation and exports were all down. Deflationary pressure also intensified in July, and the renminbi in trade-weighted terms—that is, against a whole basket of major trading partners’ currencies, not just the dollar—has soared to record highs. This is because of a de facto peg to the dollar, making Chinese goods and services uncompetitively priced to world customers. Another reason is domestic politics. Chinese policymakers want to resurrect their reformist image among domestic intellectuals and the middle class by yielding more power to market forces to determine its currency exchange rate, which offers some compensation for July’s aggressive, command-and-control intervention in the A-Share market. And then there’s international politics. 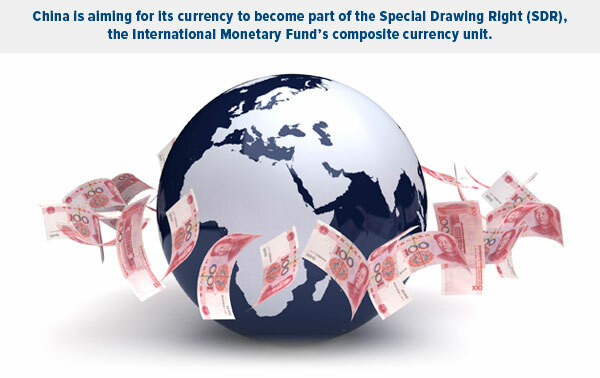 It’s well known that China wishes its currency to be included in the International Monetary Fund’s special drawing rights basket, along with the U.S. dollar, euro, British pound and Japanese yen. Chinese policymakers are actively demonstrating to the IMF their commitment to “a more market-determined exchange rate,” a critical step toward eventual renminbi internationalization. 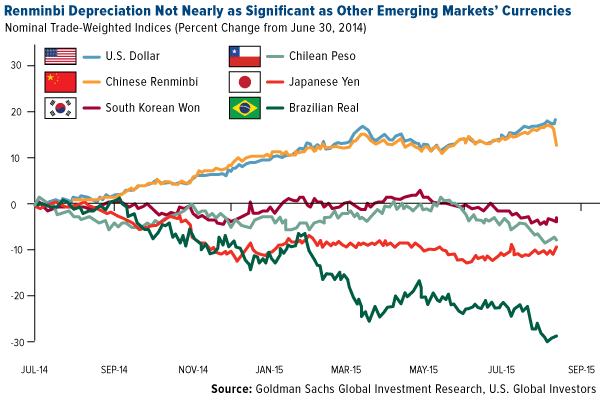 Many countries have devalued their currencies lately—Japan, Germany, France and others. Business Insider, in fact, just shared a Goldman Sachs chart showing how miniscule the renminbi’s depreciation really is compared to other emerging countries’ currencies. And yet China gets singled out in the media! Why is everyone so hard on China? What’s usually not mentioned in all the news and editorials we’ve seen is that China hasn’t resorted to currency devaluation in 20 years. For the last decade, the renminbi was largely moving in a single direction—up—because China was tired of being dubbed a currency manipulator and it would like to foster consumerism. As the second-largest economy in the world, China is interested in transforming its growth model from investment-driven to consumer-driven, and some investors might wonder how the devaluation will affect consumption. Today, the richer Chinese middle class is made up of big spenders, both home and abroad, and a weaker renminbi translates to weaker purchasing power for them. It might also have larger implications for global tourism, global consumer goods and global property. So the difference between China and, say, France is pretty significant. A lot of people think the Federal Reserve will hike interest rates this year—maybe even as early as September—though I’ve expressed doubts about that. Will the devaluation have any effect on the Fed’s decision? Is this a sign of further reforms? What else can we expect? The devaluation does indeed herald back to the days of major Chinese reform. In fact, it occurred one day after China approved a comprehensive plan to reform its state-owned enterprises to make them more market-driven, similar to those in Singapore. So at least the government welcomes the perception that the devaluation has more to do with long-term structural reform and less to do with short-term expediency. Investors are being bombarded with bad news about China right now. There have been some very negative headlines. Where’s the good news in all this? Here’s the simple answer: A weaker currency not only helps Chinese exporters but also U.S. consumers. Whether you buy things made in China or are planning your next vacation there, you’ve got money to save now. 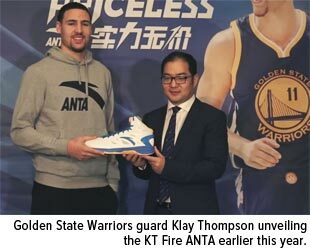 Opportunities have also been expanded for U.S. retailers and manufacturers that source from China, not to mention U.S. airlines. And if you’re in the camp that believes this devaluation is the start of a new “currency war,” then it might be time for gold to shine. 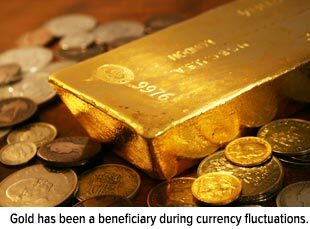 Indeed, gold tends to benefit the most when there are global currency fluctuations. Last week was no exception, as the metal had its best week since June. Many analysts, it seems, prematurely declared that gold has lost its safe haven status because it fell to five-year lows during the height of Greece’s and Puerto Rico’s debt crises. But as I explained last month, gold is behaving this way not because it’s lost anything. Instead, there are external forces at work here, including the strong U.S. dollar, fears of rising interest rates and a slowing global economy, not to mention possible price manipulation. Despite these powerful headwinds, gold managed to hold strong the week before last as media giants’ stock plummeted, erasing $60 billion in stock value. Speaking of gold and mining, I’ll be in Lima, Peru during the first week in November to attend the Mining & Investment Latin America Summit, where I’m scheduled to deliver the opening keynote address. I’ll be speaking on mining around the world, macro trends and opportunities and challenges in the upcoming year. For those of you interested in attending, you can register here. I’d love to see you there! On Wednesday New York closed at $1,097.20 up another $1.60. The dollar was a cent stronger at $1.0963, with the dollar Index stronger at 97.31 up from 96.64. This morning the LBMA gold price was set at $1,085.65 down $1.10. The euro equivalent was €989.43 down €1.80 on yesterday. Ahead of New York’s opening, gold was trading in London at $1,087.00 and in the euro at €992.11. The silver price closed at $14.82 up 14 cents in New York. Ahead of New York’s opening it was trading at $14.67. After the Fed’s almost neutral announcement after its 2-day meeting the dollar went stronger and dealers marked down the gold price in line with that strength. It had rallied initially after the FOMC statement which did not refer to any timing for a rate hike, but the media continues to quote Janet Yellen confirming there would be a rate hike this year. Despite the inadequacies of the ongoing guessing of the timing of a rate hike, it persists and dealers adjust their books slightly, so as not to be caught off guard. Hence the move down in gold is entirely due to currency considerations. There have been no sales or purchases of gold into or from the SPDR gold ETF or Gold Trust. The holdings of the SPDR gold ETF are at 680.154 tonnes and 163.55 tonnes [down 0.30 of a tonne] in the Gold Trust. A trader in Chinese shares that specialized in shorting them, had to leave the country and a colleague of his was imprisoned some time ago. 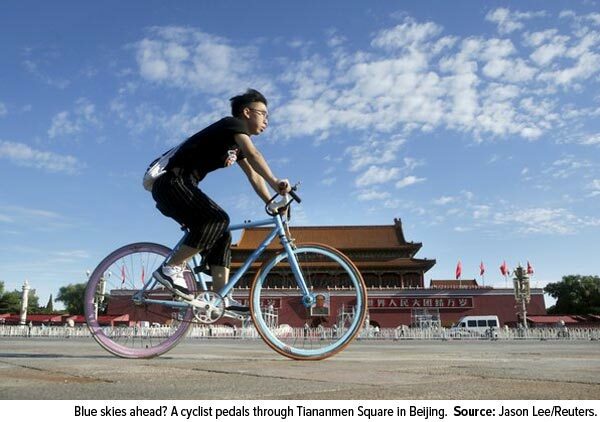 This amply demonstrates the dangers of going against government policy in China. With the crash in share prices there and the government’s support for the market now more than visible, many feel that the opportunities there are now to the upside. Our comment that it may well be arms of government that have picked up the gold dumped in China two weeks ago, may well carry implications for the downside on the gold price. If it did indeed happen, then we do not expect much more selling in the bear raid manner in the future. We are watching with great interest to see if more attempts will be made to hammer the gold price soon. If they don’t then we can expect that any positive news for gold will have a positive impact on the gold price. 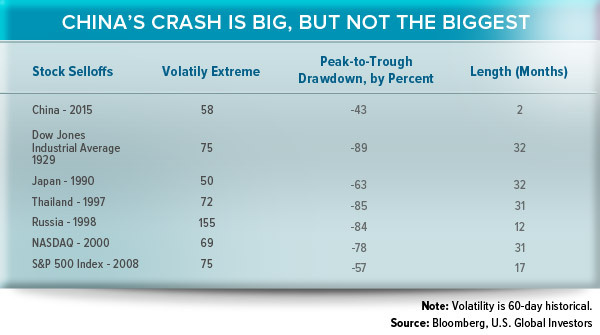 Potential for instability and uncertainty increasing: World heading for extreme times. Julian Phillips’ analysis of what’s happening in the gold and silver markets, sees some very uncertain times ahead. New York closed at $1,162.40 up $3.60 with Asia and London holding it there in a barely changed market. The dollar was weaker at $1,1107 down from $1.1033 against the euro with the dollar Index 96.11 down from 96.50. The LBMA gold price was set this morning at $1,162.40 up only $0.30. The euro equivalent was €1,038.27 down €14.69. Ahead of New York’s opening, gold was trading in London at $1,160.10 and in the euro at €1,037.01. The silver price rose to $15.46 up 32 cents in New York. Ahead of New York’s opening it was also trading at $15.46. Has Tsiprias done enough? Has he committed political suicide? Will he get the Greek Parliament’s backing? Will the E.U. feel it is enough? The German Finance Minister agrees that Greece cannot repay its current debt, but will not go with a debt write down. Better to make repayment last for 40+ more years at a miniscule interest rate, he feels. A rose by any other name? 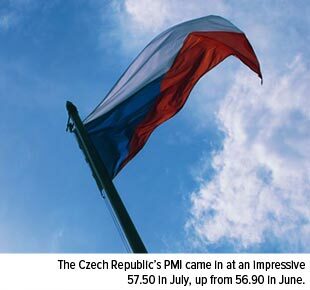 Monday will see if this issue will impact the exchange rate of the euro or not. The dollar gold price is relatively unmoved but with the euro climbing the euro price of gold is falling. Next week could prove dramatic! Certainly it looks as though, at last, there could be a resolution to the story? Markets are, on balance looking for the E.U. to accept the latest Greek offer, but we would rather wait and see. Until next week we do not see any really strong moves in currencies or precious metals. The Chinese government’s ‘shackling’ of the Shanghai equity market is more a clash between Communism and free markets than it is of global economic concern. China had thought that it was a way of increasing wealth but did not account for speculation. With the IMF lowering global economic growth forecasts and, in particular, that of the U.S., the potential for instability and uncertainty has increased. This takes us towards extreme times. With the Fed looking at the end of this year or next before raising interest rates, they too are keeping their heads down. What is important about these downward looking prospects is that this is all that has been achieved after 7 years of efforts to stimulate the global economy and in particular the U.S. economy. Is the global economy on a self-sustaining road forward to better times? That’s not what we are hearing. So are we at the bottom for gold and silver prices? With China aiming to have more control over the gold price and to inject the Yuan into the global monetary system there is a case to be made for this thought. My latest article on Mineweb looks at the hugely anomalous situation whereby the gold price is effectively set by the U.S. market, but gold demand is virtually all elsewhere – primarily in Asia where, of course, China and India dominate. The price currently fluctuates around U.S. economic data and whether this is likely to lead to the Fed raising interest rates sooner rather than later, but where the gold is being bought whether U.S. interest rates may rise a quarter of a basis point in June, September or whenever is a total irrelevance. China in particular is well aware of this and is making moves to have more control over gold price setting itself, and it is interesting also that many of its recent initiatives – the latest being the setting up of the $16 billion Silk Road gold fund – involve gold. China certainly sees gold as playing an increasing role in global finance and trade, and here it is aligned with Russia which has been adding to its own gold reserves on a regular basis. It is widely believed that China is doing so too, but without reporting the additions to the IMF until it deems it politically expedient to do so. China also feels that the U.S. in particular is trying to sideline it economically, as the former is worried about the latter’s potential impact on the U.S.’s hitherto dominant position in world trade through the dollar’s use as the world’s reserve currency. China want the yuan to have a much greater role – and if it sees this as being blocked by the U.S. it sets up parallel institutions to rival the U.S. dominated ones – the Asian Infrastructure Investment Bank is a prime example which could grow to rival the World bank and the IMF. 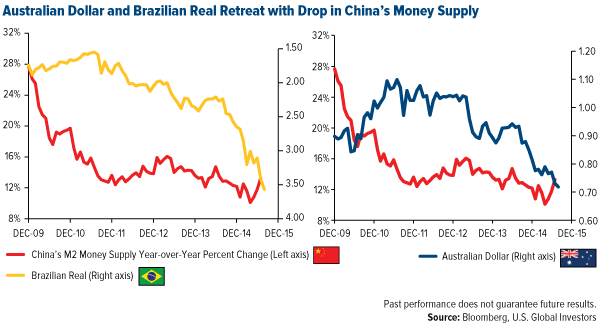 There is also a belief that China may be preparing to set up a rival to the IMF’s super currency – the SDR – if it blocked from becoming part of this currency basket again this year. Earlier this week I penned an article based on a talk by Ken Hoffmann, Bloomberg’s Global Head of Metals & Mining Research at the Global Mining Finance Precious and Base Metals Conference in London. This was published on Mineweb and has already attracted extremely strong readership from around the world – See: Will China go for a gold standard? The jury is out! In it, Hofmann set out what some might consider an off-the-wall appraisal of possible Chinese moves to back its currency with gold to try and help cement the yuan’s position as a potential future reserve currency. This, it feels, could go a long way towards other countries’ central banks accepting the yuan as an integral part of their foreign currency holdings, perhaps even pari passu with the U.S. dollar. Hofmann puts forward the viewpoint that the Chinese are exasperated by the West trying to treat the nation as a second class citizen on global trade and economic organisations, despite it being the world’s second largest economy – or some would even put it at No.1. The Chinese administration is also of the opinion that the U.S. is obstructing Chinese efforts to gain a place at the global table commensurate with its economic standing as the U.S. sees China as a competitor to its global dominance of trade, and all the advantages that brings to the U.S. economy and place in the world order. Other media picked Hoffmann’s hypothesis up, but in effect only appeared to look at how much gold China would need, or what gold price would be required, to fully back the yuan with gold in the manner of the old gold standard – perhaps with the implication that this is some kind of crackpot idea which puts Hoffmann in the ‘gold cultists’ mega-price camp. Yet this was not really what Hoffmann was suggesting. He effectively said that he did not know how China could achieve this but that the Chinese tend to view things in a totally different manner to the West and can move at lightning speed in comparison and might, by thinking outside the box, come up with some solution which could satisfactorily at least partially link the yuan to gold. This would hugely enhance the currency’s status in the eyes, perhaps not of the major Western central banks, but for state banks in other parts of the world – notably in Asia, Africa and Latin America where there may be a more natural positive association with gold as a key indicator of financial strength. Indeed in many cultures gold is viewed as the ultimate in financial probity and a symbol of wealth and power, regardless of the opinions of today’s mostly Keynesian economists who say that gold has no place in the modern financial system. Central bankers are opposed to gold because it imposes disciplines, and ever since President Nixon dropped the dollar’s gold backing, the world’s central banks have seemed to have gradually seen this as carte blanche to allow monetary easing on an unprecedented scale and bring the global economy to the perilous state it finds itself in today. Today’s economists, except perhaps those who follow the Austrian School, and bankers are almost unanimous in their opinions that gold should play no place in global economic thinking. Yet the major Western nations’ central banks are for the most part hugely reluctant to part with any of their accumulated gold reserve – something of a contradiction in attitudes. Gold obviously still has a place deep down in their collective psyches! Today, at Bloomberg’s own Precious Metals forum in London, Hoffmann gave a further short talk setting out the hypothesis – seeing the possibility of China going down this route as a possible Black Swan scenario. While, in a short article released at the event he admits that the backing of the yuan fully by gold is an exercise that is highly unlikely and that in any case the Chinese government would not wish to have its monetary policy hands tied to the extent a traditional gold standard would suggest. Indeed he admits that while the debate on this is an interesting one, ‘the idea of China on the gold standard is likely to remain in the alchemist’s lab for now’. So what Hoffmann has done is to bring the idea of a Chinese introduction of some form of gold standard into the debate and for that he should be praised rather than vilified by those who find the whole idea counter to their own views. The Chinese are indeed capable of springing surprises on the West. As pointed out earlier the Chinese have a different way of thinking than us westerners. They tend to operate with the kind of long term game plan no longer even considered in most capitalist countries and with a centrally controlled economy are perhaps far better placed to implement economic reforms which are to their ultimate benefit which might be considered impossible in the Western thought train. So while a Chinese return to some kind of gold standard may be extremely unlikely, one perhaps should not write the idea off as totally impossible, and Hoffmann has done us a favour in getting us to think outside the box ourselves. Tuesday marked the last day that countries could submit their applications to become founding members of the new China-led Asian Infrastructure Investment Bank (AIIB). As of this writing, a little over 40 nations have either already been approved or have applied for membership, including strong U.S. allies such as Britain, Germany and Australia. Notable absentees, as you can see below, are the U.S. and Japan. Conceived to serve as an alternative to Western-dominated sources of credit such as the World Bank, International Monetary Fund (IMF) and Asian Development Bank, the AIIB will aim to invest in regional infrastructure projects ranging from energy to transportation to telecommunications. The new development bank, which is expected to launch later this year, will have $100 billion in capital to begin with—a massive mountain of money, to be sure, but it falls far short of the estimated trillions that will be necessary to fund Asia’s astronomical infrastructure demand. China’s creation of its own global bank highlights the country’s desire to wield more control over funding such projects. It currently commands only 5.17 percent of the vote in the World Bank and 3.81 percent in the IMF. And so the currency wars continue to heat up. China’s move demonstrates its ongoing efforts to establish the yuan as a global reserve currency on par with the U.S. dollar. It’s no secret that the country wants the yuan to become part of the IMF’s Special Drawing Right (SDR), a composite currency unit that now consists of the dollar, Japanese yen, British pound sterling and euro. The founding of the AIIB might very well bring the country closer to realizing these goals. Chinese stocks are currently having a moment. Mainland A-shares, as measured by the benchmark Shanghai Composite Index, are up an incredible 92 percent for the 12-month period on the back of strong recent performance in the financial, property and infrastructure industries. There’s generally a high correlation between the A-share market and China and Hong Kong, but the A-shares have outperformed by a wide margin over the past year. Last Wednesday the index fell a slight 0.8 percent, ending a 10-day rally that contributed 12 percent, its longest winning streak in 23 years. Chinese policymakers have recently eased quota controls for foreign investors in mainland stocks and bonds, as they promote the yuan to be accepted as an SDR. 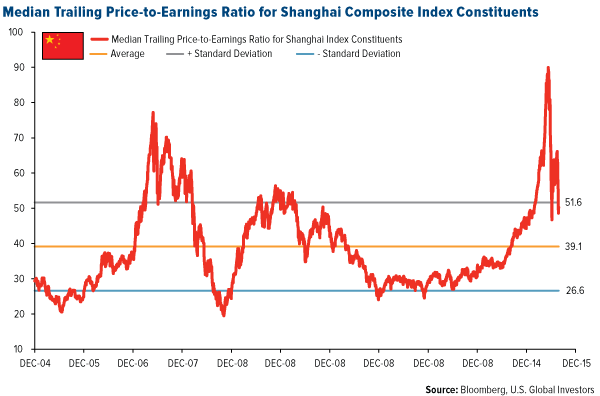 The potential for greater inflows into the market should help the Shanghai Composite head even higher. Our China Region Fund (USCOX) has participated in this rally through the Morgan Stanley China A Share Fund and a closed-end fund.